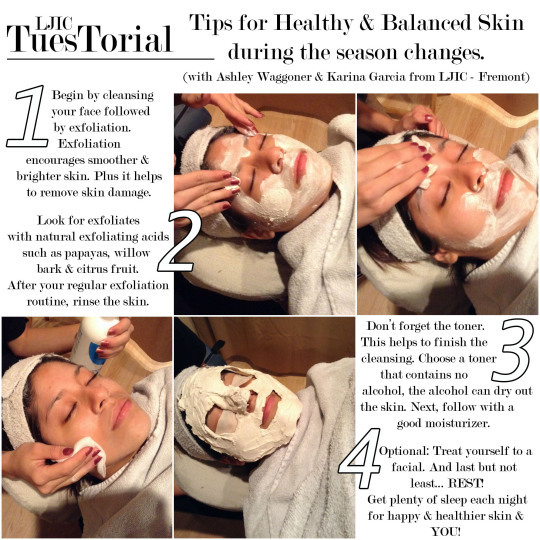 Step 1: Begin by cleansing your face followed by exfoliation. Exfoliation encourages smoother & brighter skin. Plus it helps to remove skin damage. Step 2: Look for exfoliates with natural exfoliating acids such as papayas, willow bark & citrus fruit. After your regular exfoliation routine, rinse the skin. Step 3: Don’t forget the toner. This helps to finish the cleansing. Choose a toner that contains no alcohol, the alcohol can dry out the skin. Next, follow with a good moisturizer. 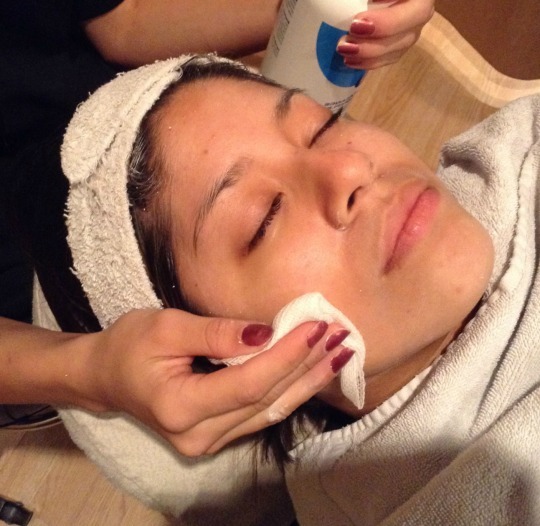 Step 4: Optional: Treat yourself to a facial. And last but not least… REST! Get plenty of sleep each night for happy & healthier skin… & YOU! Thank you Ashley & Karina for the great tips & for participating in today’s LJIC TuesTorial. Are you interested in learning about La’ James International College & the programs offered? Call 888.880.2108 or visit us at www.LJIC.edu today!